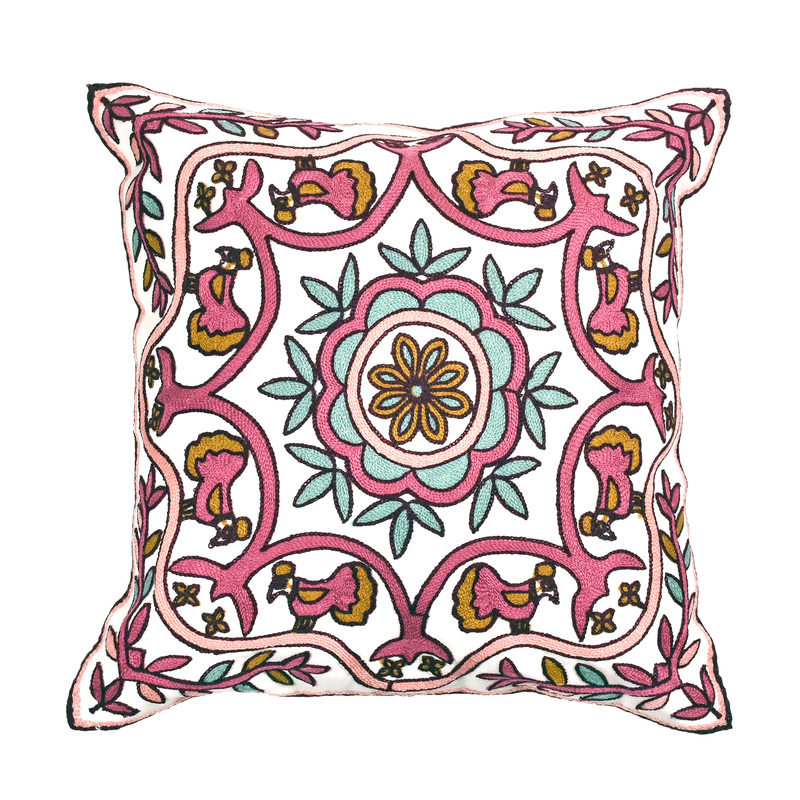 This colorful and intricate design, from the talented Thai artisan Sirin, features an elaborate flower centerpiece which is then surrounded by tropical birds. 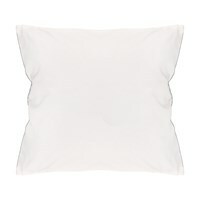 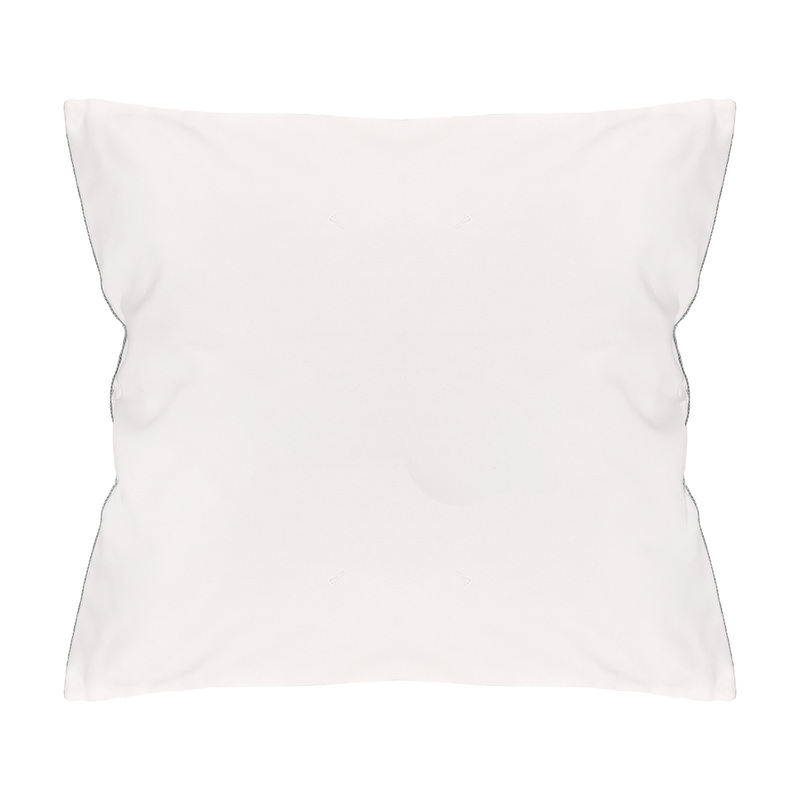 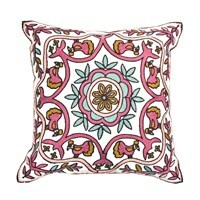 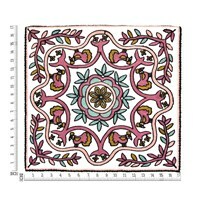 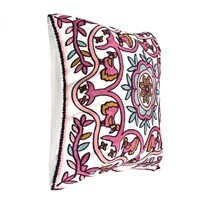 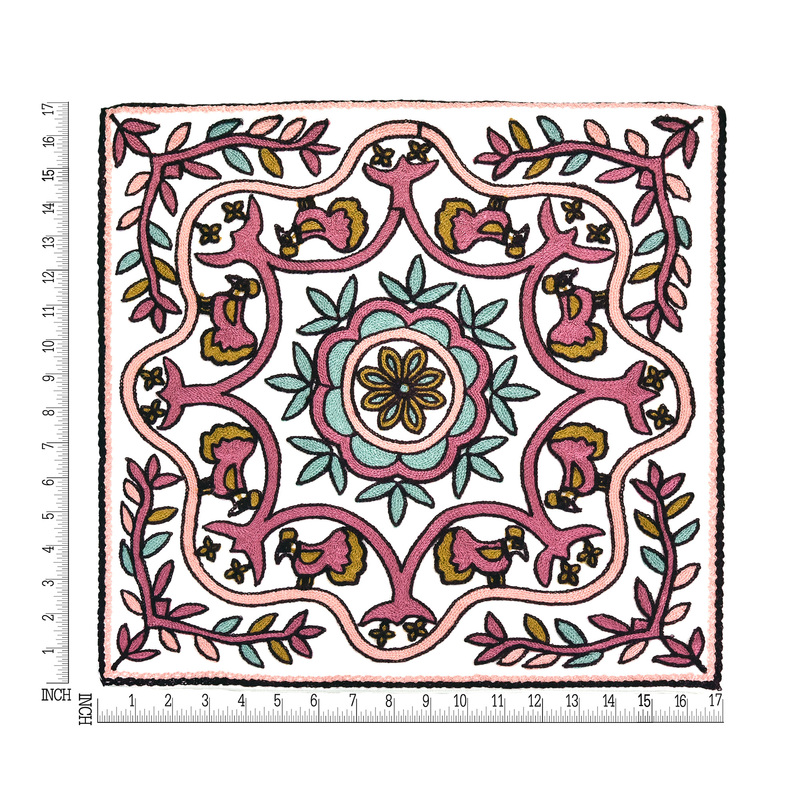 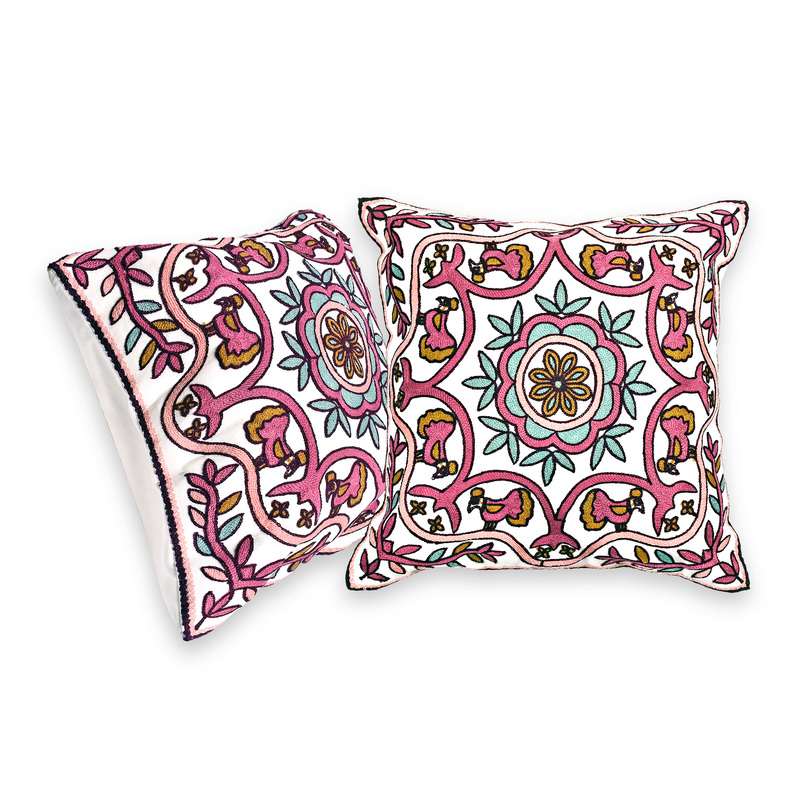 This stylish pillow cover set will stand out and be a focal point in any room. 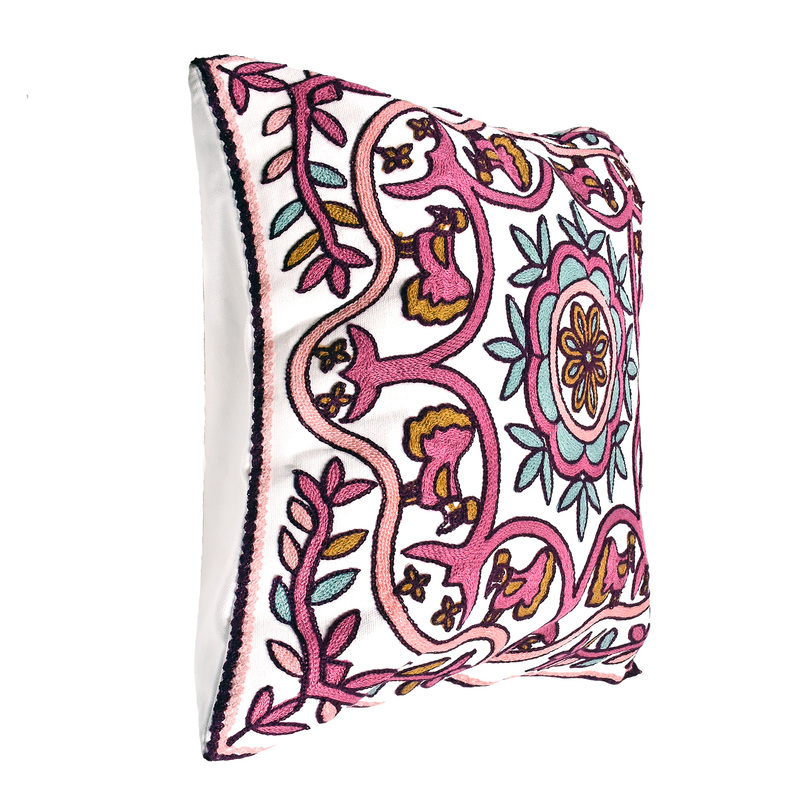 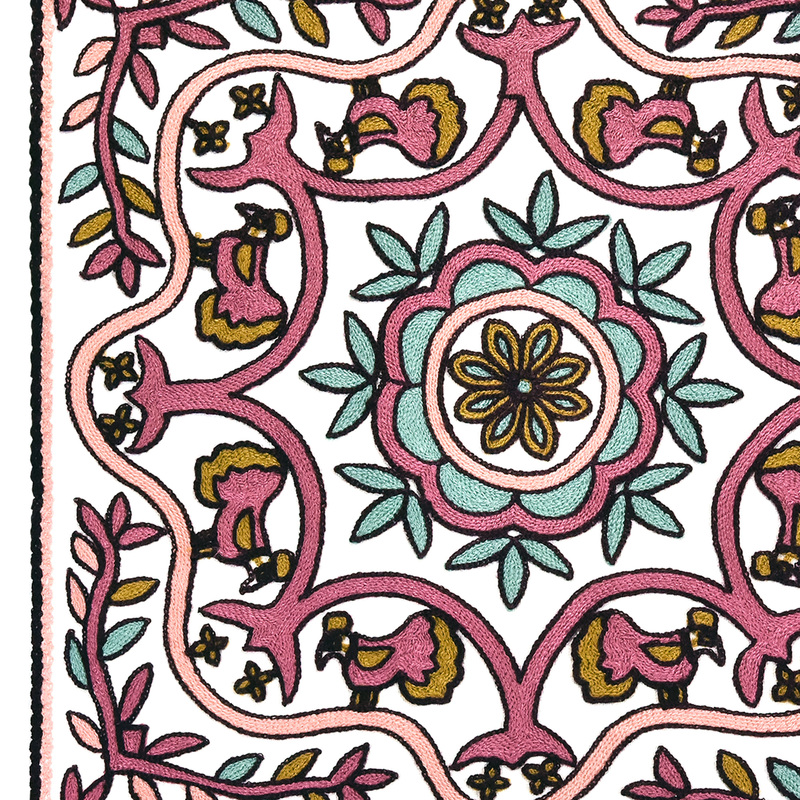 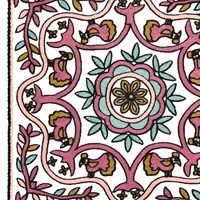 The different shades of pink, blue and brown work perfectly against the white background which gives this piece a cool exotic vibe. 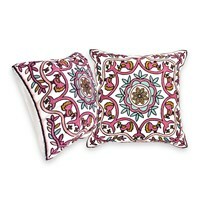 This chic and stylish set includes 2 pillow cases that are ready to add an exotic touch of Thailand to your home decor.